In today’s design conscious world, is art now chosen to go with your decor ? 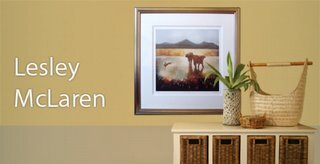 Has a piece of art to tie in with your wallpaper or do you still buy art because you like it, no matter how it looks on your wall . . . . . even if it clashes with your decor ? We at the Bay Attic believe that if you like it and it gives you pleasure then you should buy it, hence our home is an eclectic feast for the eye, or perhaps not depending on your point of view. Maybe all art is what hangs in a Museum or Gallery and not what you decorate your home with. Perhaps “true art” needs to have matured and been painted over 100 years ago ? Well all we can say is “Bah Humbug !”, as long as art evokes a reaction, we at the Attic believe that’s what counts ! Why not search the attic and see for yourself.